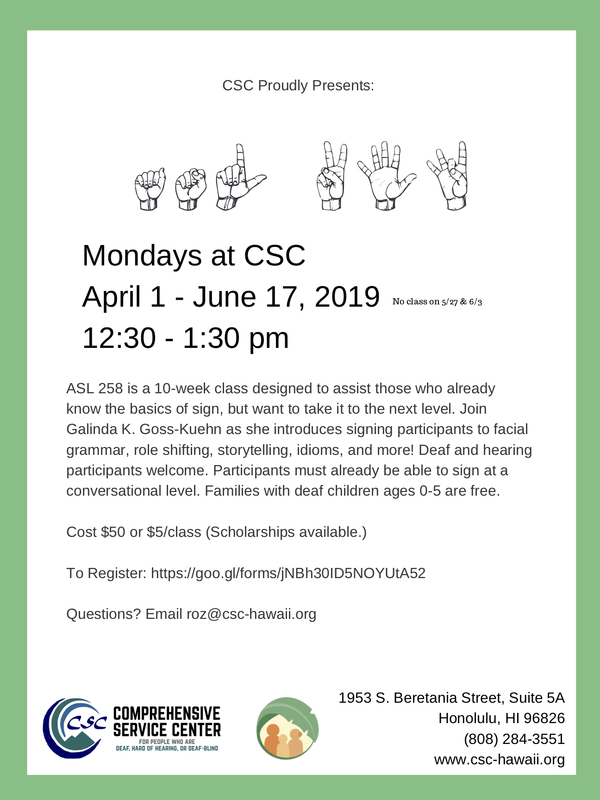 ASL 258 is a 10-week class designed to assist those who already know the basics of sign, but want to take it to the next level. Join Galinda K. Goss-Kuehn as she introduces signing participants to facial grammar, role shifting, storytelling, idioms, and more! Deaf and hearing participants welcome. Participants must already be able to sign at a conversational level. Families with deaf children ages 0-5 are free.